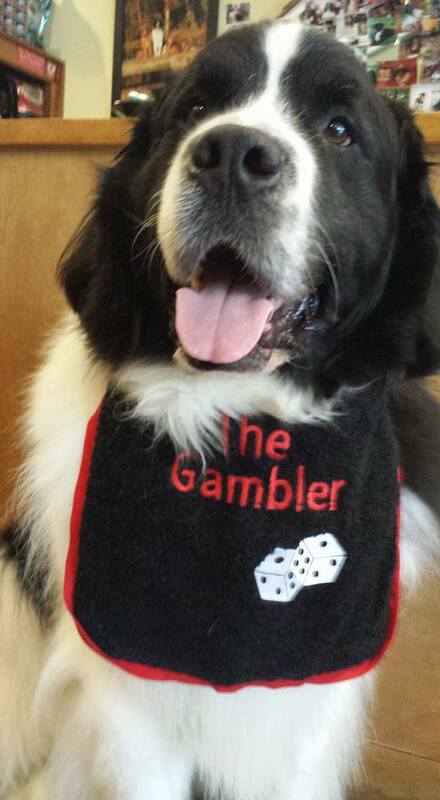 I have had this breed, or rather this breed has had me since 1979. 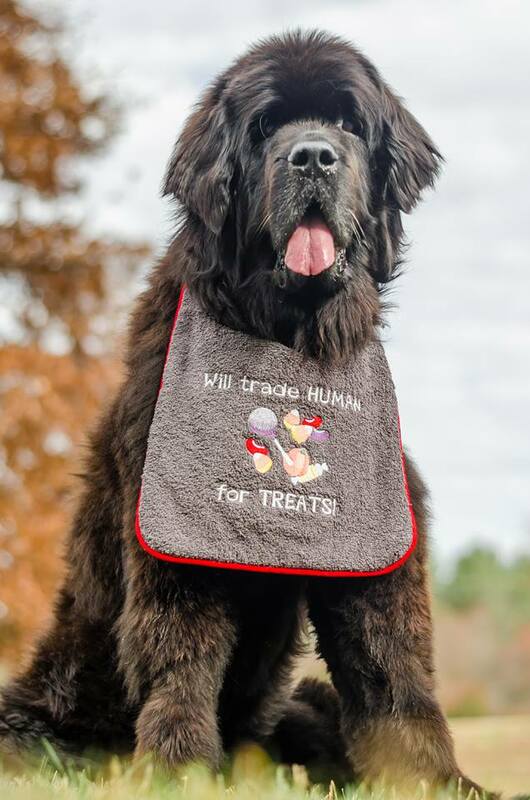 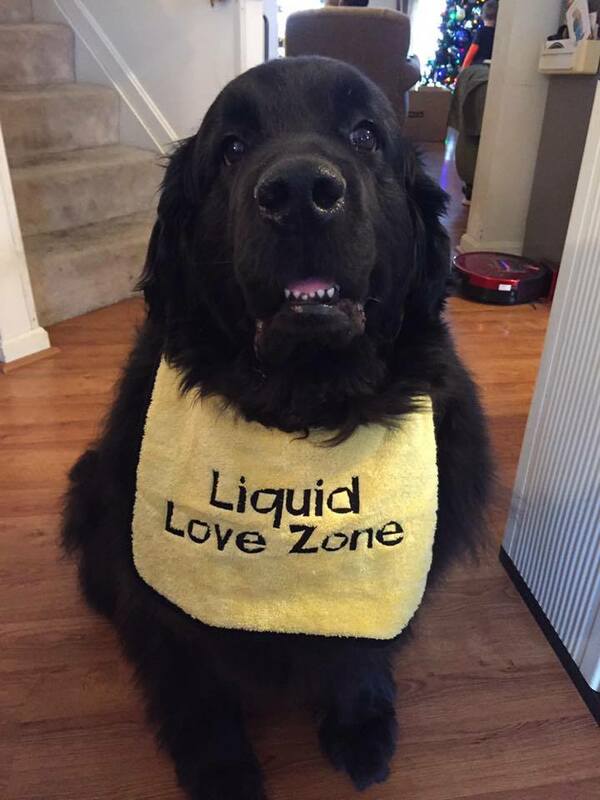 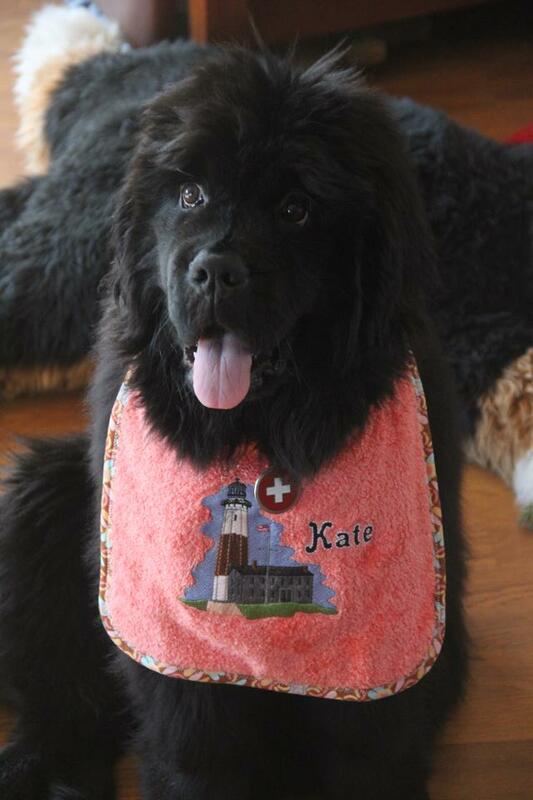 Creating bibs for these drooly characters gives me the opportunity to design, sew, and embroider a custom style unique to the particular dog. 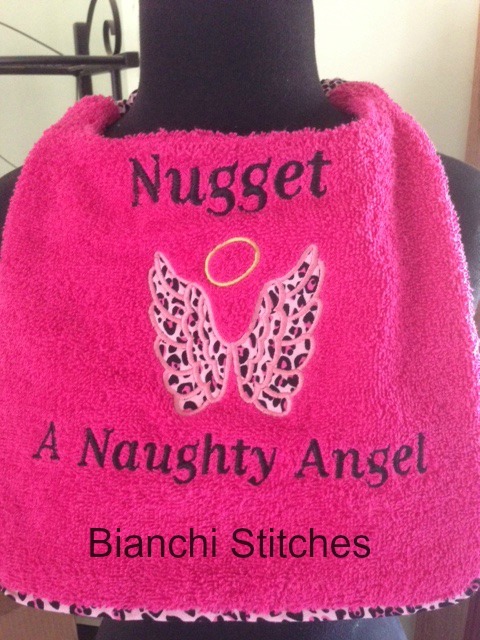 These bibs have been the best-selling item on my website. 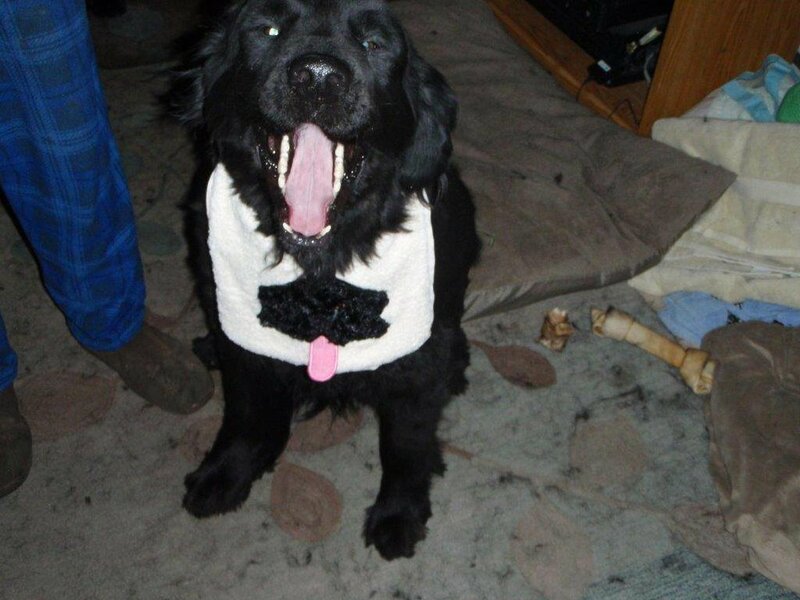 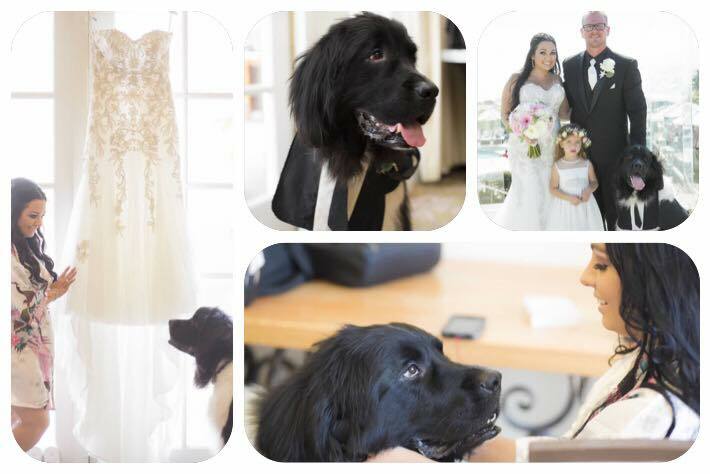 Upon special request I made a tux for a wedding that was worn by the couple’s Newfoundland.